I am unsure if this poem is personal, political, or allegorical, or if it even matters. It’s full of references and allusions to some of my favourite writers and artists. There’s a touch of Camus, a dash of Kafka, a pinch of Nietzsche, a sprinkling of Ginsberg, a stroke of Von Stuck, a drop of Giger, and a smear of Bosch. The rest is a Gehenna-sized refuse pile of my own pondering. I call it Sisyphus Triumphant(?). It should not be confused with my short story of the same title which touches upon similar themes and ideas, though less lyrically, in prose. 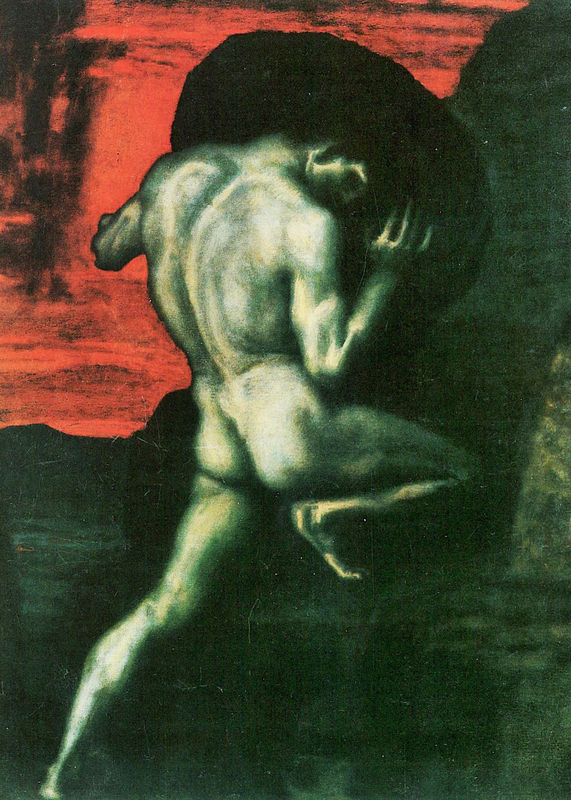 “Sisyphus” by Franz Von Stuck (1920).